If you are going from Koh Samui to the Full Moon Party in Koh Phangan and returning to Koh Samui on the same night (or morning) as the Full Moon Party, the most reliable, safest and cheapest option is to purchase a return speedboat ticket that also includes pick up and a return service to your hotel. Island Info not only uses dedicated “EXPRESS” transport vehicles to get you to the speedboat, we also have a staff member at the speedboat departure area to manage your departure and to ensure the highest marine safety standards are maintained. Do not be misled with the false economy of getting a cheaper ticket at the speedboat departure area for travelling in either direction. This is the “speedboat only” price and does not include the taxi or transfers to and from your hotel. Also, the taxi and songthaew prices increase on the night of the party and there is no guarantee that suitable transport will be available to take you to your hotel at the time of your return. The speedboats depart at regular intervals and you DO need to book your ticket early to guarantee getting a seat on the speedboat at your prefered departure and party arrival time. 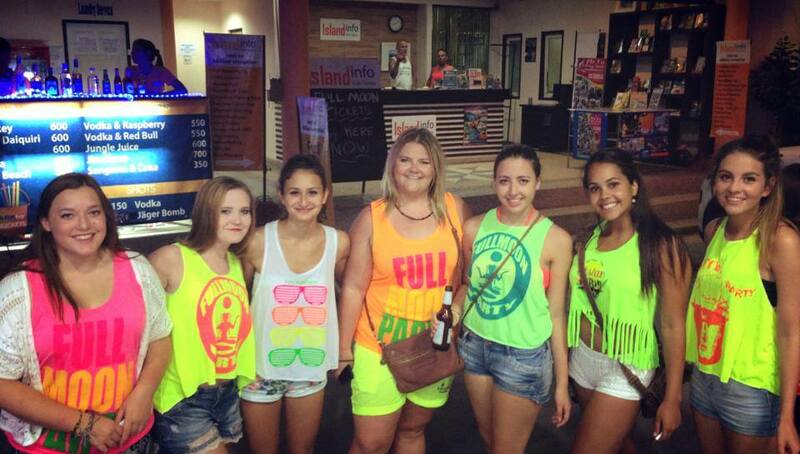 Island Info has arranged Full Moon Party transfers for over 40,000 Full Moon Party guests. 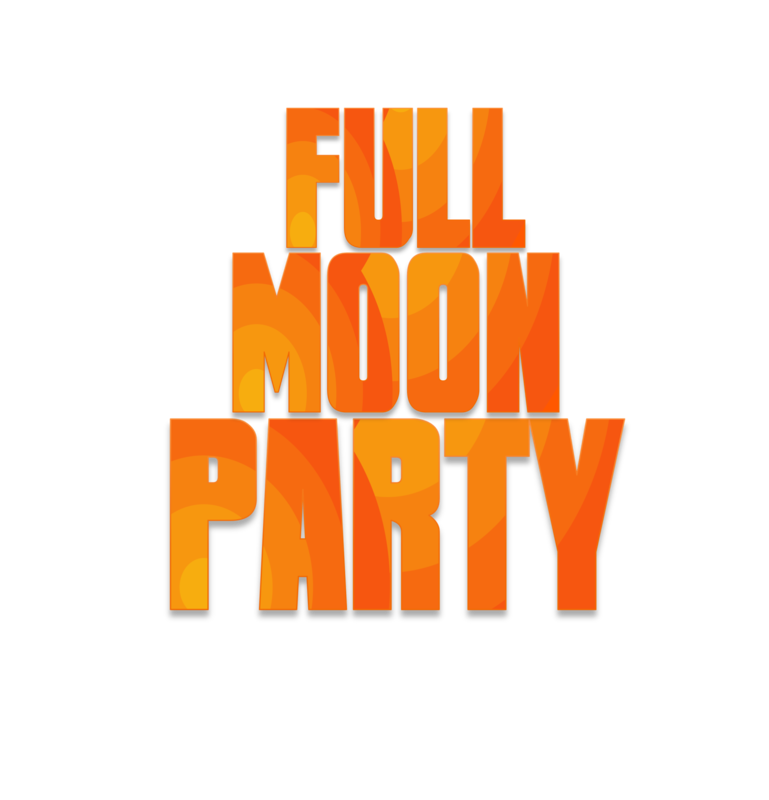 How do we book tickets for the boat ride for the Full Moon Party?? Good question, and a very easy answer. “It is best to book in person at the Island Info shop in Koh Samui”. The shop, Island Info, is located next to the reception area at ARKbar Beach Resort in Chaweng. We stress that you do not need to book tickets online. Being the largest ticket seller, we have access to as many speedboats as we need, therefor ticket supply is not an issue. We run our own vehicles to and from the speedboats and guarantee an express, non-stop, journey from our shop to the speedboats. We are the only company providing this service. Additionally, I am personally at the speedboat departure area to ensure the required safety standards are being met. ANSWER: Buy them in person at Island Info, inside ARKbar Beach Resort. Hello, what is the difference between a normal return and a VIP return please? Also can you book in advance online if that is preferred? There is no need to book in advance online. Simply because there are always tickets available and booking online can lead to problems unless you know the company already. The VIP ticket gets you onto the next available returning boat, avoiding the queues waiting to come back to Samui.